Machined internally for increased water flow making it more effective than a standard nozzle. 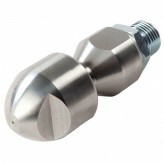 Proven to be 30% more efficient than standard jetting nozzles. 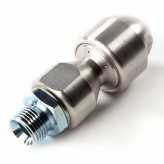 Please complete the form below with your nozzle configuration requirements and pressure and flow of your jetting unit. Nozzles are drilled to suit the specific pressure and flow of your machine.